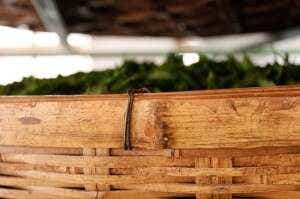 The way your tea gets from the farm to your cup has a huge impact on quality and price. We are lucky to live in a world where we can sip fresh tea from remote farms in China living half the world away. This extraordinary feat takes a massive web of logistics to handle each step of the process. I fell in love with tea sipping fresh brews with the farmers who grow, pick and process it. Coming back to America, I was startled to find that the tea I fell in love with was not the tea I could drink in my hometown. Only after becoming a direct importer did I realize the barriers that exist to prevent fresh tea from small farms from leaving China and making it into the United States. Shipping prices, mafia-like export rings that protect their exclusivity, and import laws stop most small businesses like Verdant from connecting tea lovers with small businesses like the He Family’s farm in Laoshan Village. The two most important pieces of getting tea out of China are an export license and inspection certificate. These two keys are withheld from small family farmers in an effort to deliberately stifle competition in the market. In our article Transparency in the Tea Industry: Land, Water & Air, we revealed how American tea companies partner with corrupt government officials to buy farms out from small farmers and consolidate their supply chain. This relationship has fueled regulations to keep small farmers from fighting back with higher quality product. The government will not grant those precious licenses and certificates to small farm operations because the government itself is competing with the individual farmers. Without those documents, no tea leaves the country in any significant quantity. You might be able to take twenty pounds in a suitcase, or have a couple packages slip through the cracks in the mail, but not at the scale it takes to be a significant supplier and importer in the United States. This leaves the American importer with few options. Generally the only choice is to buy from a registered brokerage firm. 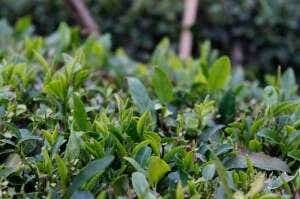 These firms exist for the purposes of export and their tea quality reflects that. Brokerage firms buy up product from large factory farm operations because they have no motivation to buy small run harvests from family farms. The factory farms are employing migrant workers for almost nothing. We discuss the significance of quality labor in tea farming in the article, Transparency in the Tea Industry: The Cost of Labor. Supporting broker-supplied tea inherently supports unsustainable techniques and exploitative labor practices. The shipping system itself strengthens everything that most tea lovers want to prevent. Until China loosens its export laws, we will continue to see the American market flooded with generic broker-supplied teas from factory farms. Sometimes they are dressed up with fancy names and given stories but at the end of the day, unless someone can tell you who picked their tea, and when it was picked, it is highly unlikely that you are getting more than a dubious low quality product. Verdant is the first company in the United States to skip the broker step entirely. That is because we spent two years before going into business working on our logistics model. We employ staff in Northern and Southern China, and work with connections in the Chinese government and across the logistics chain that we have cultivated over years of working and living in China, speaking Chinese, and coming to understand the intricacies of the systems in place. Without these relationships and connections, we would not be able to share tea form people like Mr He, or Mrs. Li. The cost of our methods is in keeping staff in China, and paying the extra fees and licensing costs to various Chinese government agencies. The associated expenses of helping innovative tea farmers share what they love with a wider market makes up about 10% of the final retail price we charge. Our competitors work through brokers to avoid these extra costs, which can definitely lead to a lower price at the end of the day, but takes away your chance as a tea lover to taste tea made by a family and farmer that you can trust. In addition, buying direct from the farm lets us sell the freshest tea in the world. Tea bought through a broker or distributor sits in a centralized warehouse after picking until it is sold to an importer agent. 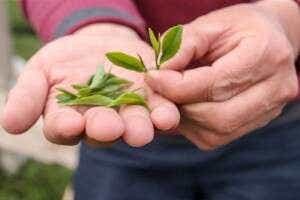 This can add a month or more to the age of the tea you drink, taking away the fresh aromatics of new harvests. Once a tea is cleared for export, it needs to get to whatever country where it will be sold, in our case, the United States. By far the most common shipping method is ocean freight. Ocean freight adds only several cents onto the cost of each pound of tea. Almost all the tea you drink in the United States is brought over via shipping container ocean freight. The obvious advantage here is that it adds almost nothing to the final retail price that you pay. The disadvantages are cleanliness and time. A shipping container will be shared by pallets of product from many different importers. This means that there is a chance that tea can be shipped in a container with volatile chemicals, and absorb chemical residue. It also means that if any other shipment is irresponsibly packed and pests are found in the container, the whole container needs to be irradiated or sprayed to ensure that no invasive species enter the country. The issue of chemical exposure, or pest contamination is a serious problem. It can lead to organic certified product having high levels of chemical residue by the time you drink it despite the certification. This is because certification testing is done on the farm, not usually at the distribution warehouse. Add this concern to the fact that ocean freight adds up to two months on to a tea between picking and sipping, and it ends up being a completely unacceptable way to ship tea. Any quality tea that is carefully picked and finished deserves to be transported in a way that preserves the greatest possible integrity in flavor and purity. To avoid the pitfalls of ocean freight, we air ship our teas every two to four weeks in small quantities. Air shipping adds about $6.50 to each pound of tea, or 40 cents an ounce to the price. When we first started, our shipping was closer to $13 a pound, or 81 cents an ounce. This is a huge addition to the cost, but it allows us to bring in the freshest product. We arrange to purchase a full harvest of tea from our farmer partners, collect it the day after it is picked, and have it on an overnight flight to the United States so that we can drink tea that is only a week old. The flavor difference is absolutely astounding. Large ocean shipments coming from registered factory farm facilities have a major advantage when they get to the United States. The factories and broker exporters have the resources to register all of their facilities with the FDA, contract customs clearance brokers and produce all the necessary paperwork to expedite customs. Tea coming from small farms doesn’t have the same paper trail, and requires a lot more effort to get customs clearance for. Whether you ship two tons of tea on a container or a few hundred pounds by air freight, you still have to pay the same amount to a customs clearance agent to represent your shipment in person at the airport, and submit the paperwork. You still have the same cost in annual bonds. This means that products entering the United States legally are way more advantageous to import in large quantities. Of course, the larger the quantity, the staler the tea will get while it sits waiting to be sold. We pay more to customs brokers than most companies, but in return we get to bring in new tea several times each season with the fresh pickings. These customs costs can add 10-12 cents per ounce onto our final cost. As you can see, international commerce favors those that are willing to work through established channels, and buy in huge quantities. Most tea companies in America, from online retailers to teahouses simply don’t have the money, the staffing or the know-how to navigate the process themselves. This is why most companies simply buy tea from an American distributor to repackage and sell, or use in blends under their own brand. Besides being morally questionable to take a product, hide its source and sell it as your own, this practice leads to further quality decreases in what you drink. Adding the American distributor means one more warehouse for the tea to sit in for months before being acquired by the small retailers. Once the tea is purchased by the teahouse or online retailer, it has to ship domestically to that retailer’s facility, usually via FedEx or UPS. These shipping costs can add significantly to the price of the tea, between $4 – $8 a pound. We save on these costs by having our teas sent directly from the farm to our facility to reduce carbon footprint and cost that distribution adds. The retailer’s facility itself adds to the cost of the tea. Many small online retailers are not repacking tea in food safe facilities. A lot of tea businesses are run out of homes and apartments, which is technically illegal, since tea is considered a food by the FDA, and needs to be handled in a food safe facility by a business that holds a food manufacturer’s license. Small retailers often ignore this rule, which can lead to contamination and unsanitary practices. Food facilities are an expensive piece of overhead, running 5-8 times the rent of a non food safe facility. You can run a quick check yourself by doing a street search on a business address. Google maps shows satellite images, and it is pretty clear if the address is a house/ apartment or if it is a commercial facility. Finally, the tea has to get from the retail facility to you. This requires one more step of shipping, usually via UPS, FedEx, or USPS. Shipping a 2 pound package from our headquarters in Minnesota to LA costs over $9. Some companies build shipping into their retail prices. Other companies add shipping in the cart. Adding shipping at the end makes a tea look cheaper than competitive products, making it really hard to price shop without going through checkout. We try to balance shipping costs with a flat rate that covers about half the shipping cost, and a free shipping threshold above which we cover the full cost of shipping. No matter what, you will always pay for shipping, either in the price, or in shipping charges. Generally, the more tea you purchase at a time, the less of your money is going to shipping charges, and the smaller the carbon footprint. The supply chain of getting tea from the farmer to your cup is incredibly complex no matter how you go about it. Our goal is to take out as many steps as possible so that we can facilitate as direct a connection with the farmers as we can. Fresh tea requires fast and careful shipping. Tea from small farmers requires intense wrangling with the regulatory authorities in China to get export licenses and inspection certificates. The path to supplying fresh and clean quality product is extremely difficult and costly. The alternative is a slow process that sees tea pass through distributors and brokers while denying small farms the chance to export, and denying you the chance to try something truly unique. Shipping and logistics adds a good $10 to the cost of every pound of tea we import. This cost makes it impossible to compete with the large scale suppliers on price. At the end of the day, we do it because we care about the families we represent in China, and want to share what they produce. Posted on October 24, 2014 at 3:58 pm. This is very informative. Please keep up the good work. At the moment, we may be a little slow to reply, as we are currently sourcing in China through mid-September. Please drop us a line, and we would love to connect when we have more constant access to our e-mail and the internet. In the meantime, we wish you the best of luck! I had problems in importing teas to UK, so far I managed to import small amount of tea each time (not to the quantity that UK Inland Revenue require to pay duty, but still had to pay import duty when I received teas). It is good to see your experiences in importing teas, hope you can write more and give advice in importing teas into UK. Thanks. Hi Lorna,I concur with Lily Duckler about importing fresh tea to the international market and many a times consumer don’t get it as fresh it may be prefered.I come from Kenya in Africa where some of the finest tea are found and i have also started shipping out small quantities of tea by air just to ensure that the tea arrive at destinations while still fresh.May be you can also try sourcing from this region as well . iam trying to do what you have done for small scale farmers overseas to get better market for their tea, amd i learnt alot from your article. I would like to talk to you over the phone when possible because i need further guidance to try and see if i can succeed to help small scale farmers. thanks. Thank you for your note! Please send us an email at wholesale@verdanttea.com – we may be able to help out. This has been very helpful! I hope to learn more from you about the ins and outs of the tea market. Thank you!